Tighter restrictions in recent years have slashed the annual allowance an individual can pay into their pension while receiving tax relief by over 80% since 2010/11. These reductions may have frustrated many of those saving for retirement, but this year may provide an opportunity to make more sizeable pension contributions. The amount an individual can contribute to a pension and receive in tax relief is restricted to £3,600 or 100% of relevant earnings, whichever is higher, while any employer contributions are, in theory, unlimited. Pension contributions are further restricted by the annual allowance, which currently stands at £40,000 dependent on whether the taper applies, although any unused allowance from the previous three years can be carried forward at present. Any personal contributions or those made by an employer or third party will count towards the annual allowance, while an increase in the value of benefits within a defined benefit scheme may also be counted. The annual allowance stood at £255,000 in 2010/11 but was subsequently reduced to £50,000 in 2011/12 and then to £40,000 in 2014/15, where it currently stands. This is expected to be further reduced upon the announcement of the Autumn budget. The introduction of the Money Purchase annual allowance sees a reduction in the annual allowance to £4,000 with no carry forward for any individual that draws a pension income under the new ‘flexi-access’ drawdown rules. The tapered annual allowance sees a further restriction for high-earners with the annual allowance reduced by £1 for every £2 of taxable income between £150,000 and £210,000. An individual with taxable income of at least £210,000 will therefore have an annual allowance of £10,000. Despite the recent restrictions, this year may provide an opportunity to make more sizeable contributions due to a quirk in the 2015/16 tax year if you didn’t already take advantage of this. Any unused allowance from that year can be carried forward to the current tax year but will be lost thereafter. The 2015 Summer Budget delivered by George Osborne saw Pension Input Periods aligned with tax years. As a consequence all Pension Input Periods automatically ended on the day of the Budget, 8th July 2015, with a subsequent Pension Input Period starting on the following day until the end of the tax year. This means an individual could have had an annual allowance of up to £80,000 for the 2015/16 tax year (i.e. £40,000 for the Pension Input Period up to 8th July 2015 and a further £40,000 for the period from 9th July 2015 to 5th April 2016), of which any unused annual allowance for the period from 9th July 2015 to 5th April 2016 can be carried forward. Andrew has been keen to maximise the amount he pays into his pension and so contributes up to the annual allowance at the beginning of each tax year. He believes he is unable to make any further pension contributions in the current tax year; however in actual fact he can contribute a further £40,000 assuming he has not made any contributions in the period from 9th July 2015 to 5th April 2016 as shown below. This additional contribution must be made by the end of the current tax year otherwise it will be lost as any unused annual allowance from 2015/16 cannot be carried forward more than three years. 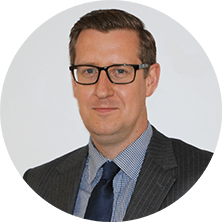 This tax year provides Andrew with a real opportunity to increase his pension provision against the backdrop of greater restrictions to the amounts individuals can pay into pensions. It is important to consider the effect that making an additional contribution will have on the lifetime allowance. Increasing contributions may not be a suitable option for everyone as it depends on individual circumstances – it is therefore important to seek advice before deciding whether to do so. If you are looking to review your retirement planning and would like to talk this through or if you require help on any other wealth planning area, contact us on +44 (0)20 7220 1659 or by e-mail at wealthplanning@whirelandwm.com for a free initial meeting to see how we can work together.